I met you in the Library on the Norwegian Dawn. We connected over your wife’s knitting. Thank you for the information on Sheds…I wish we had them here. And for the C2C hike. It will be on our agenda in the upcoming years. Is your Shed anywhere near the hiking trail? This is a link to some travellers on the Coast to Coast for Kathleen and you! Please ask your lovely knitting wife what the name of the cast on technique is. It left a lovely edge. We spent four days in Boston and experienced a Nor’Easter complete with 60 mph winds and horizontal rain! I saw your blog on the internet. Love the Sheds. 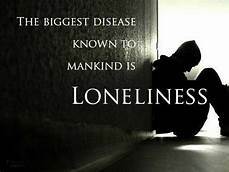 The poverty of our age is loneliness. Kathleen Smith, Santa Paula Ca. The word from California as well as Whitby is LONELINESS. We live in personal bubbles at our own risk. Stay connected.